Looking for a last-minute stocking stuffer or white elephant gift? No worries, we've got your back covered here at AP – check this deal out. 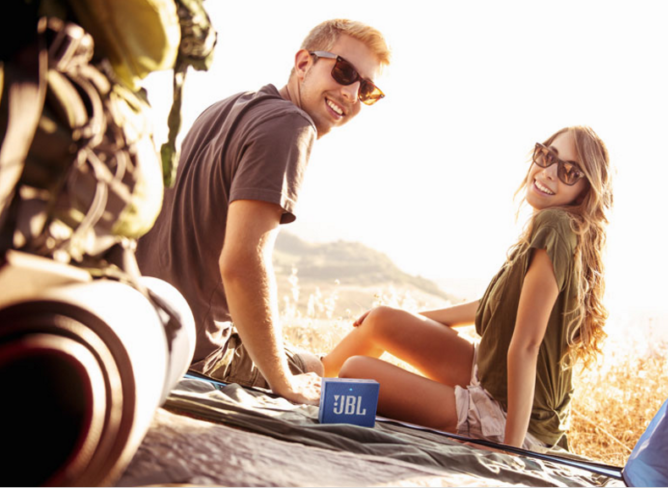 JBL.com has the JBL Go Bluetooth speaker on sale for just $20, which is half its retail price. It's available in a plethora of colors (yes, I know what a plethora is) and ships free and will arrive in plenty of time for Christmas. The Go is the smallest speaker in JBL's lineup, but according to its reviews on Amazon (4.5 stars), it still packs quite the punch. It's portable, sports five hours of battery life, and sounds pretty good – what else could you want in a $20 speaker? This picture should help you gauge the size of the speaker. JBL is offering free shipping on any purchase from its website, including the Go speaker. There is a limit to two speakers per order, but I don't see any rules against making multiple orders if you wanted to pick up a few as gifts. The price is good from now until December 18th, or as long as supplies last. If there is a particular color you'd like I'd grab one quick if I were you, as some colors are likely to go OOS soon.